There’s a great argument when, where and who invented the piña colada, so either without offending anyone or accidentally getting the facts wrong, I’m going to leave this point alone. The important thing is to enjoy the drink, and making it the way you like it. After all, you never know what you’re going to get with someone else making it. With that said, it was a restaurant that taught me to pay attention to the piña colada’s ingredients in a new way. Bahama Breeze was a place we used to go when living in Arizona, a great place I wish would come to my home town. Anyway, they served a fantastic piña colada, and used Myers’s dark rum, which was the key ingredient, and what I feel is the cornerstone ingredient in any piña colada, or at least a dark rum for special flavoring. My wife is a big piña colada fan. As a loving husband, it is my duty to try to make her happy, and fun to do when getting it right. For a long time I have gotten close to a good recipe for her, but fell short of getting precisely what she wanted. 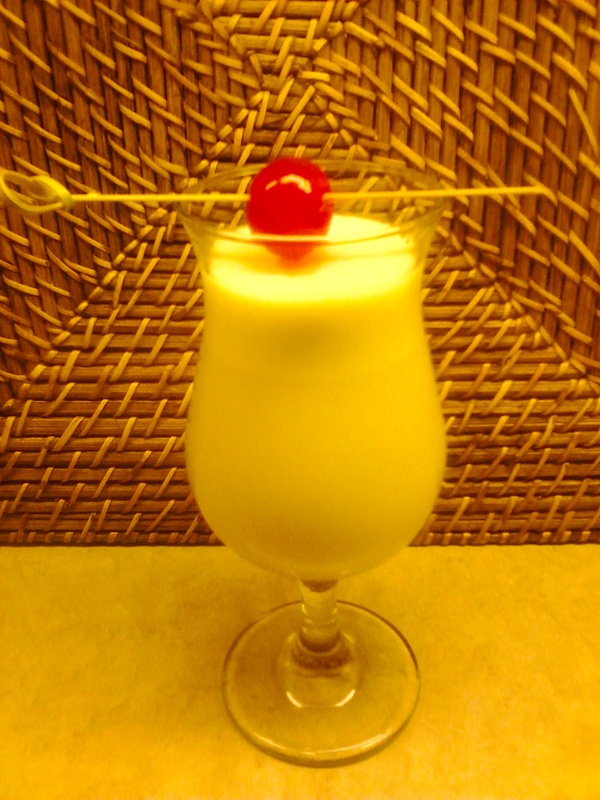 In a way I was shooting for that Bahama Breeze piña colada, and continue to search for the perfect piña colada for her, both with my own experiments and hunting or other’s recipes. There are two recipes I experimented into, which I labeled below as Piña Colada #1 & Piña Colada #2, one with more elaborate ingredients, and another with far less mixed together. 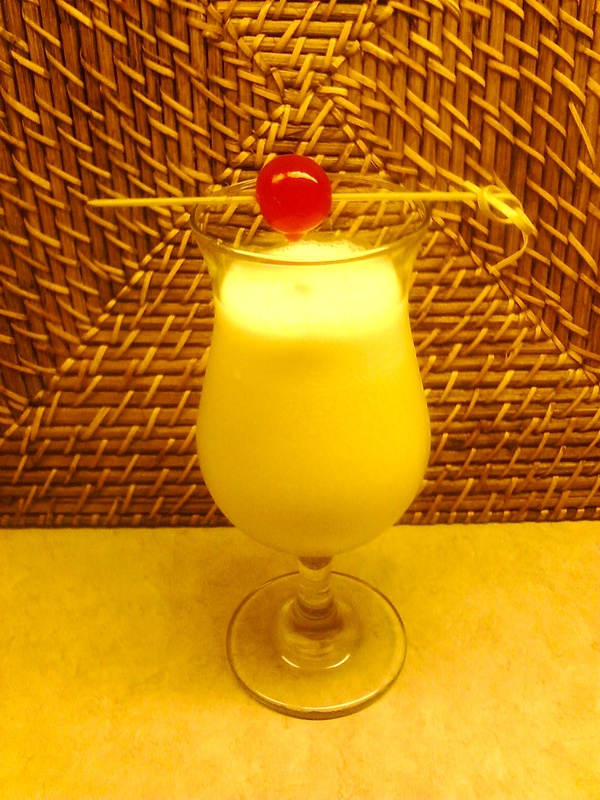 #2 is both quick and surprisingly close enough to an ideal piña colada taste. I used to drink Malibu rum, that is the coconut rum, and felt completely content for my coconut needs. Then I happened across the Cruzan line, who opened my eyes to what I truly preferred in a coconut rum. And it was here where I learned how the Piña Colada #2 could work so easily, and enjoyably. The Malibu simply could not mix the same way with pineapple juice, or the chemistry of Cruzan Coconut blended more thoroughly. I don’t know if it’s a chemistry thing, or a palate thing. Regardless, we made the change in rum brands, and started drinking more piña coladas. The first two recipes are ongoing taste tests, recipes I hope to get right, but feel I am pretty close. They are going for a more complex grouping of flavors, while the second two remain more simplified, and closer to the original idea of the drink. I enjoy mixing rums together, to see what they do, how they play out a story, or if they fight and try to steal the show. The first drink will be extremely friendly, soothing in smoothness, and more laid back in the shade on a hot sunny day on the beach. the second I feel is more of a night drink, meant to be taken more seriously and appreciated after a good meal (or during as well). 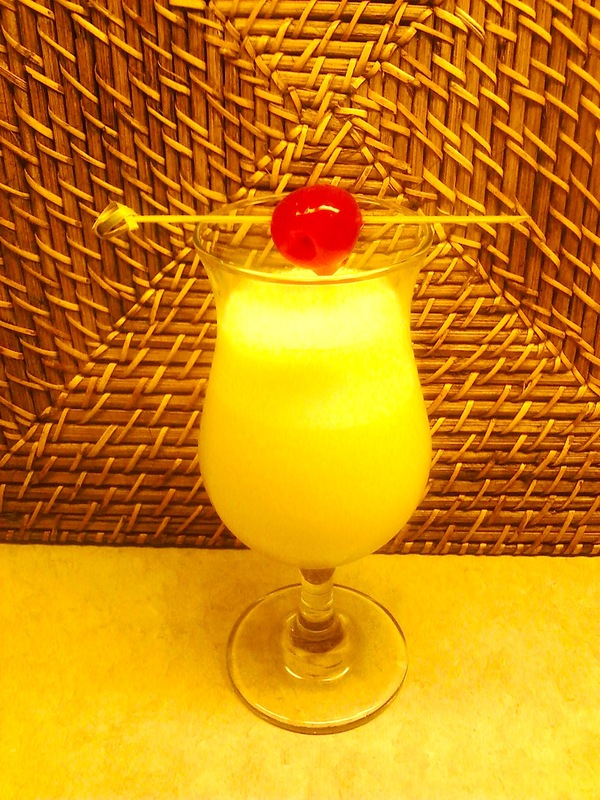 Okay, whether you like your piña colada frozen or on the rocks, I’m describing how to make it shaken, and poured over ice. That’s the way I prefer the drink, and how my wife prefers it. I’m not saying I’m above frozen drinks, or anything like that. So to each their own, and I salute you for considering other options but sticking to the way you like the drink best. Also, some people like theirs creamy, and some don’t. So I’ve added cream to each of the recipes as optional. I recently tried Coco López brand coconut cream, reading many reviews and comparisons, and found it superior to what I normally stocked my bar with, Real Coco. They both have great coconut flavoring, but the López for some reason seemed more creamy. If you have Real Coco, your drink will taste just as good. And finally, a note on “floating” – some like to float a dark rum on top. My recipes have you mixing it all in to taste the same flavor from top to bottom. But that’s just me. Shake with lots of ice to get it good and cold. 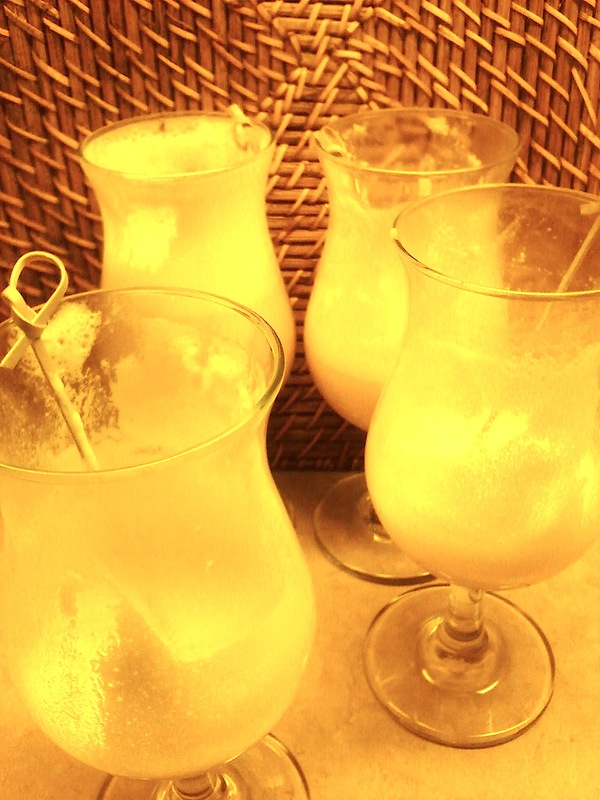 Strain into a chilled glass, and if you can – use a piña colada glass. I recently got a good deal on a set, so I don’t stray from the fun. Garnish with a pineapple chunk and cherry (not only the food of your drink, but the aroma really helps). Shake with lots of ice. Strain into a chilled glass. Garnish with a pineapple chunk and cherry. Shake with lots of ice. Strain into a chilled glass. No need for a garnish, but if you want, a cherry will suffice. 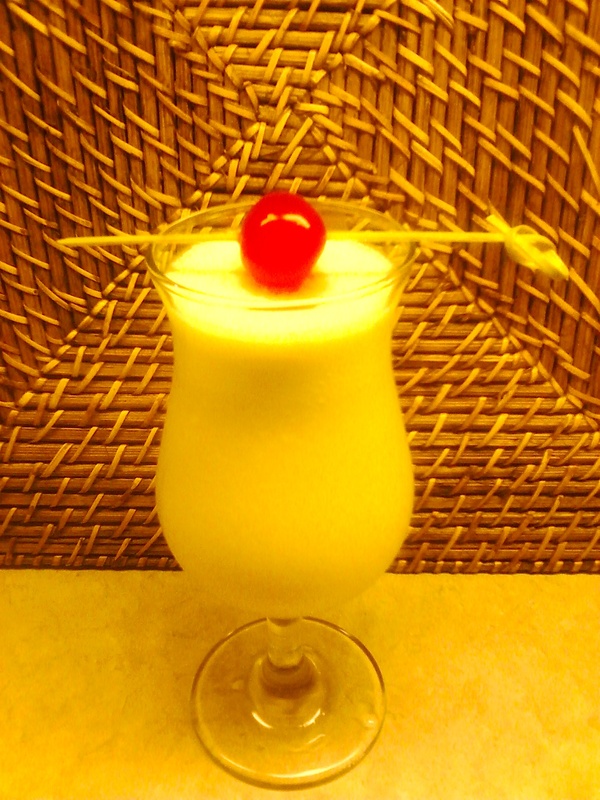 When it comes down to it, a piña colada is three ingredients: Rum, pineapple and coconut. I was simply adding ideas to the original idea , hoping each drink remains balanced as what was first inspired. Sorry I didn’t have any pineapple for the garnish. It really makes a difference. There’s no forgetting the first one, the one who first lit your eyes up with their features, and filled you with their warmth and feelings for you. The first love, who in a way all others are compared, the first not of many, but as an exception. The Perfect Drink. When my wife and I were looking at houses a few years ago – our first house from living in apartments, the whole process began with the first house, right? There’s always the first of anything one continues. We looked at this house, bright-eyed like a dog at a picnic, and tried our hardest not to love it, not the first one! We said to ourselves, if that wasn’t the first, we’d buy that house. So we looked at other houses, and eventually mourned when we heard the house had sold, knowing in our hearts we should have bought it. We still talk about that house. In a way, and please bear with me a little on this, in a way that first house was the perfect house, just like “the perfect drink” – something I did not want to immediately entitle and rank as #1 until I drank more variety and got more experience. Let’s go back in time a couple of years. I started a ranking system around the time I started researching cocktails, and making them. Soon after I learned rum was my favorite spirit and threw most of my efforts in researching all its facets. I enjoy tequila and gin, and the occasional whiskey, but fell further away from vodka. But rum seemed to call to me far more than any other. This scoring of drinks I would make kept an eye out for what I wanted to taste again, or sifted out those I’d merely mark up as something I tried. 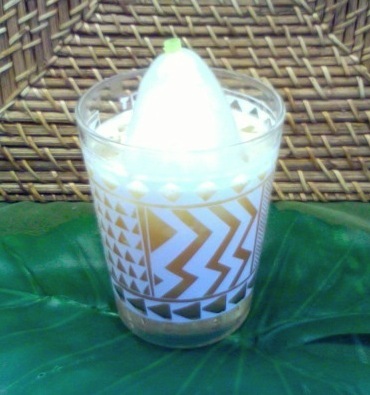 My growing passion for Tiki drinks lead me in ranking, but controlled my reasoning so I wouldn’t simply rank something with top marks for the only reason of liking how it tasted in the moment. The system is based on a 0 to 4 scale. As time went on, I thought I might never find the perfect 4, even though favorite drinks ranked as a 3.0 or a 3.5, protecting the stature of a genuinely amazing cocktail. Just so you know, I won’t make my ranking system any part of this blog, simply something I do privately. I just wanted to describe how I came about the first 4.0…the first perfect drink…the one that shattered the scoring possibility and opened my eyes to a new world. Sorry the image is not clear. And I messed up the ice funnel, making it look too smooth. I’ll try again and replace the image when I do better. The instructions in the book have you using a blender. I rarely use one, except when necessary, or if the desired effect absolutely must be in that form. I shake almost everything in a boston shaker. So what I did was shake all but the soda for about 15 seconds, vigorously, until my hand felt really cold (not merely cold…but really cold). Stir in the soda, then strain into a 14 oz glass with a special ice popsicle with a straw inside. The best instructions I have seen are from http://www.amountainofcrushedice.com. She is great, and describes & illustrates this process in detail. Donn Beach‘s Navy Grog changed my life. Since then I have come across four more perfect drinks, and know more will find me in my traveling around the land of Tiki. In fact, soon will come a drink I’ve hoped for since first hearing about it, but haven’t had the right rums, or at least approximate substitutes. I’ll let you know after I try it for the first time.